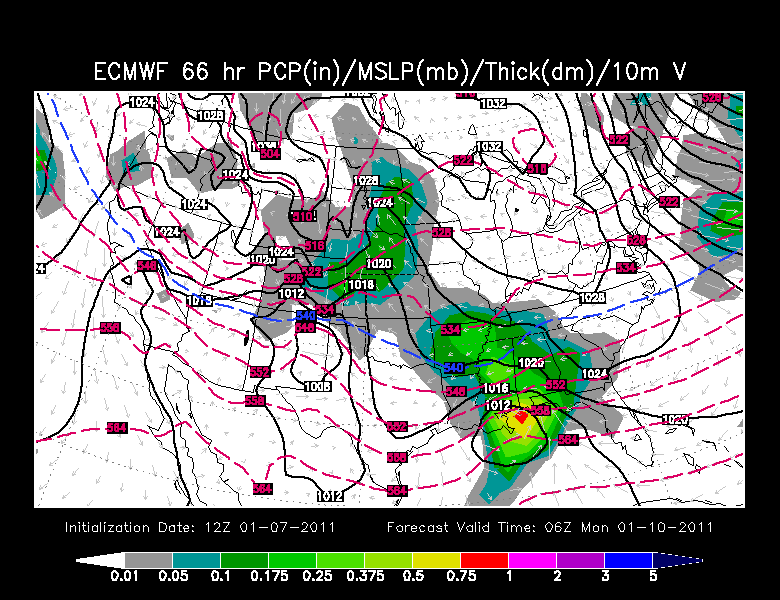 I've been looking over the morning models for the Sunday/Monday snow storm developing to the south. Now I want YOU to take a look at the models. First we'll start with my favorite model, the European forecast agency's model. 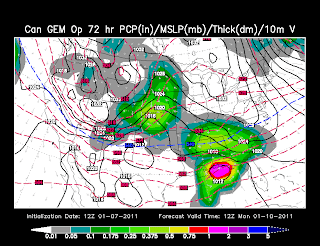 This is the depiction for 12am CT Monday. The European model keeps the storm's surface low along the gulf coast but moisture streams north in to southern Missouri. This would indicate that the storm would bring snow to the far southern parts of the KFVS viewing area (northeast Arkansas, extreme southern southeast Missouri, southern western Kentucky, and northwest Tennessee). Roughly speaking, maybe 1" of snow south of the Ohio River and maybe 2"-4" for the Missouri bootheel, northeast Arkansas and northwest Tennessee. Now let's take a look at NOAA's Global forecast model for 12am CT Monday. 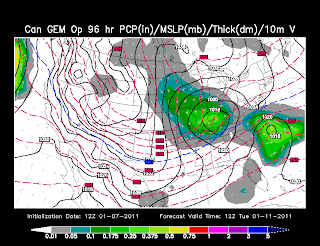 This model is staying pretty consistent keeping all of the moisture south of the KFVS viewing area. 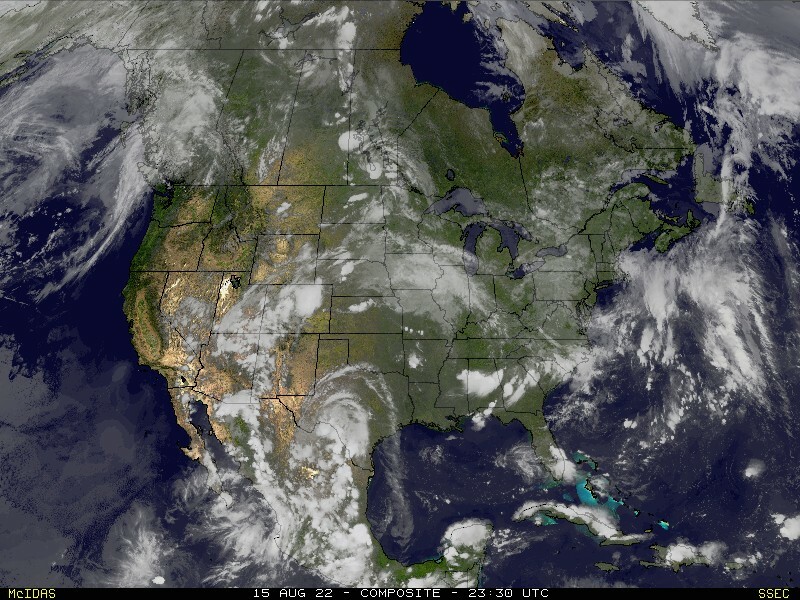 In fact, it is keeping the bulk of the moisture over Alabama and Mississippi. Finally, let's take a look from north of the border. This is the Canadian forecast agency's model. 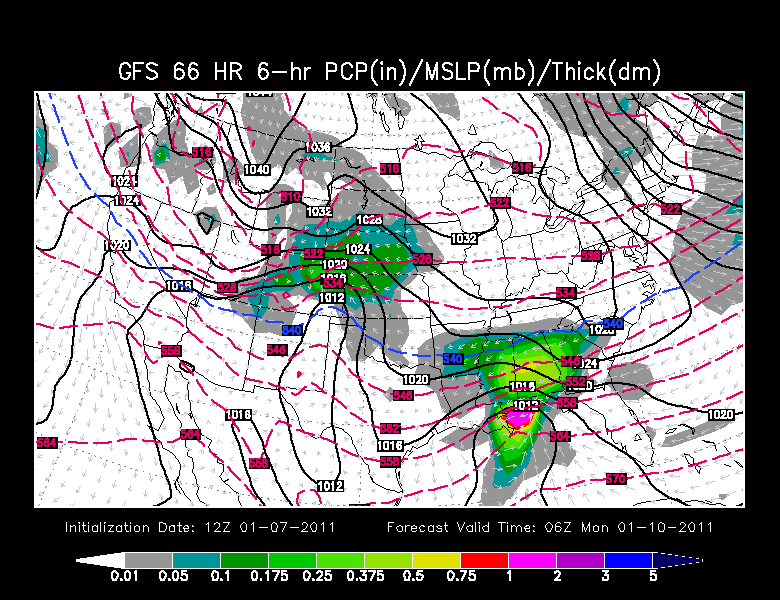 This is the depiction for 6am CT Monday. The Canadian takes the moisture farther north than any of the models. It would spread 0.5" of snow to almost the northern counties of the KFVS viewing area. It would also bring in more snow for western Kentucky, northwest Tennessee, northeast Arkansas and south of Highway 60 in southeast Missouri. 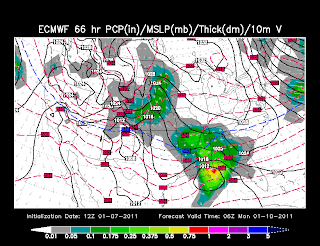 The Canadian model also brings through another little system for Tuesday. 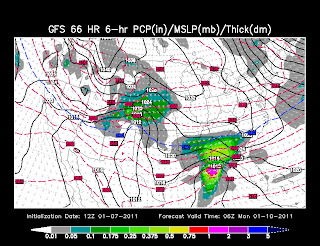 Below is the model's depiction for 6am CT Tuesday morning. If the Canadian run is correct, a surface low would develop over the top of the KFVS viewing area and move east. 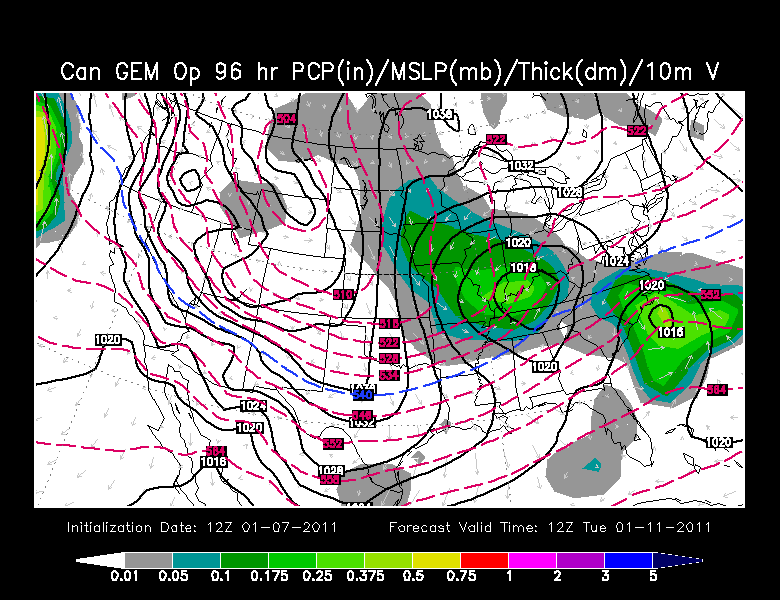 Unlike what normally happens with this type of system, the Canadian has cold air in place ahead of the storm. This means that anything falling from it would be all snow. This could be an additional 2"-5" snow for parts of the area if it pans out.